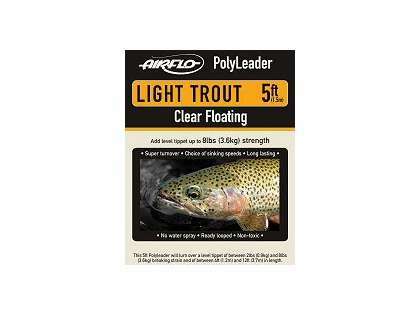 - Select Option -5 ft.8 ft.
Airflo's Light Trout PolyLeaders are designed with greater suppleness and shock absorbing for use on light lines. Floating, hover and intermediate leaders ensure the most delicate of presentations to spooky fish in lakes and spring creeks. 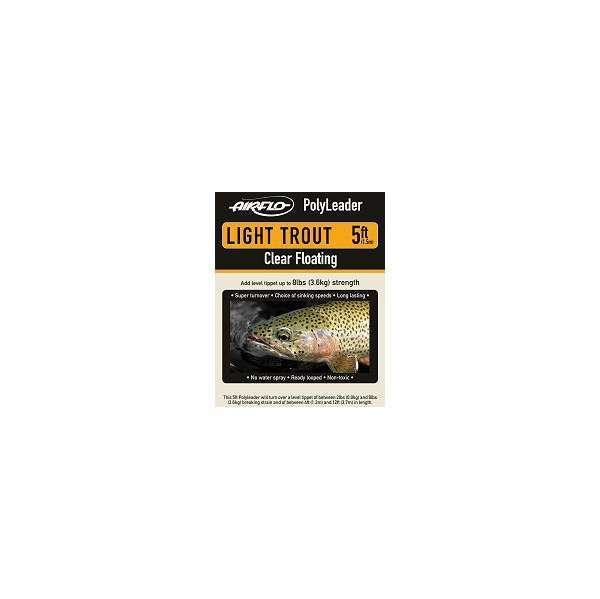 The sinking versions allow nymphs to be fished at depth without adding weight to the fly or shot to the tippet. The 8' models keeps the shadow of the line even further from the fly.